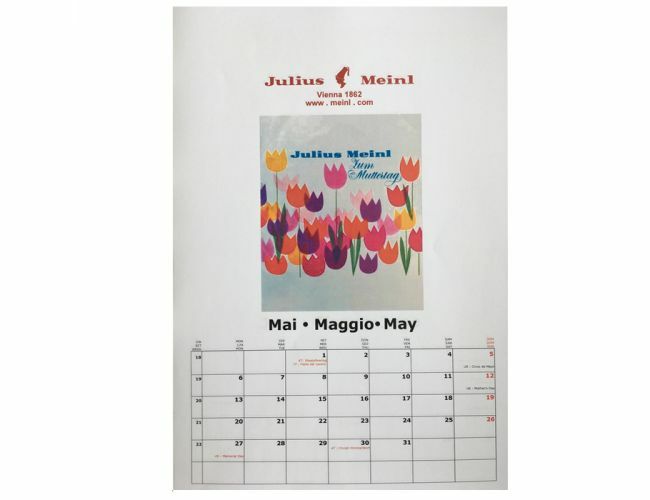 Look forward to the coming year with a Julius Meinl 2019 Calendar, featuring nostalgic retro posters, images and paintings. Each month shows historic pictures from the Julius Meinl archive. Week numbers, Austrian, Italian and US holidays are shown. with lots of historic poster art.